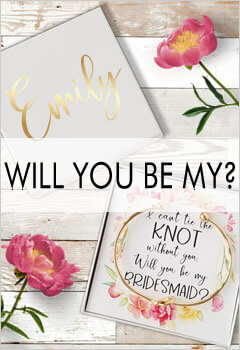 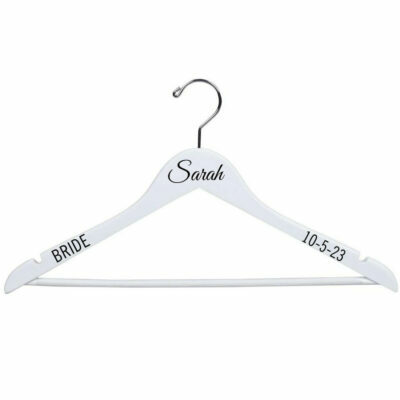 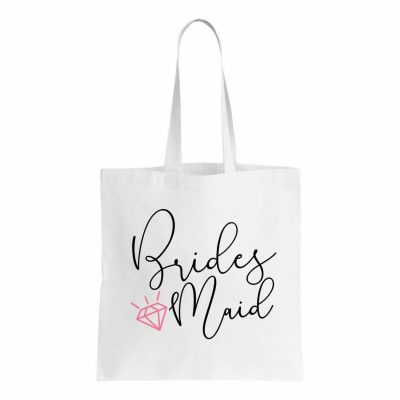 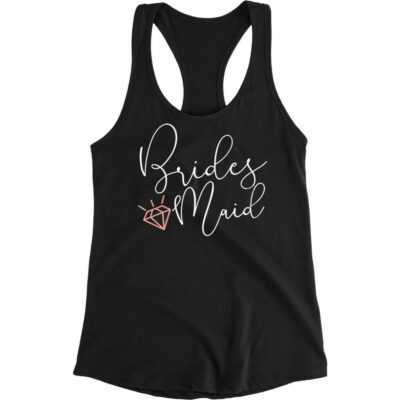 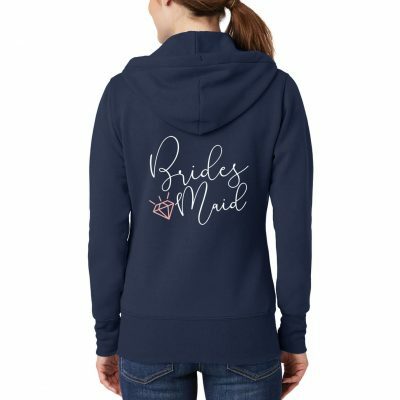 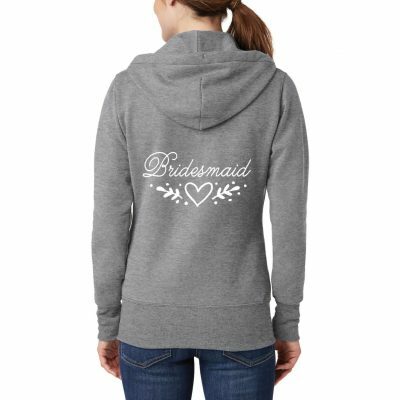 All Bridesmaid designs can be changed to "Maid of Honor", "Matron of Honor", "Mother of the Bride" and many more wording choices. 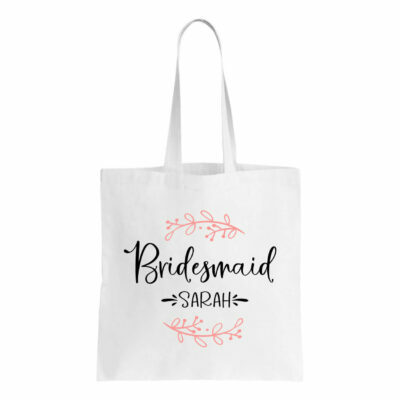 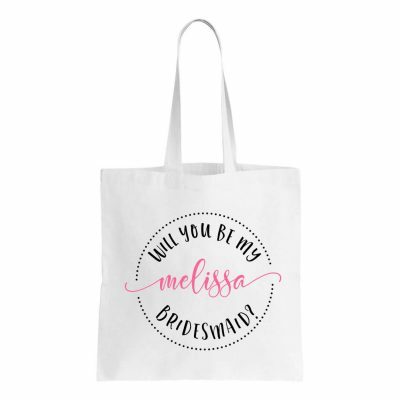 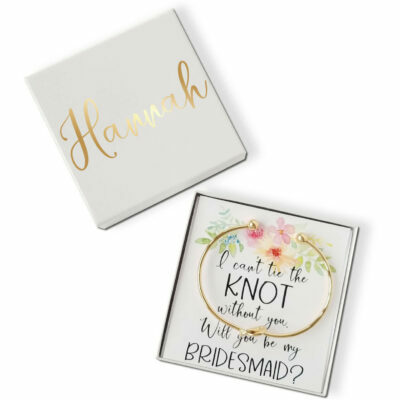 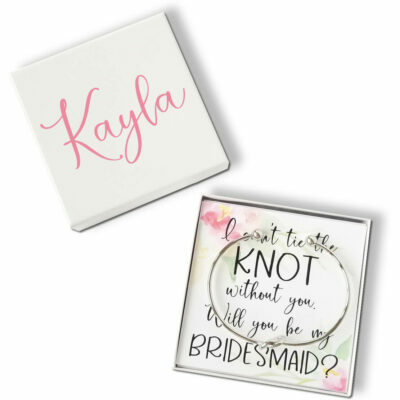 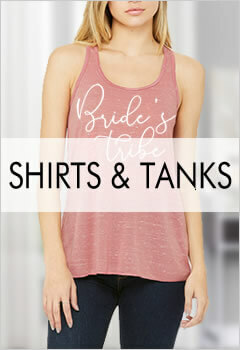 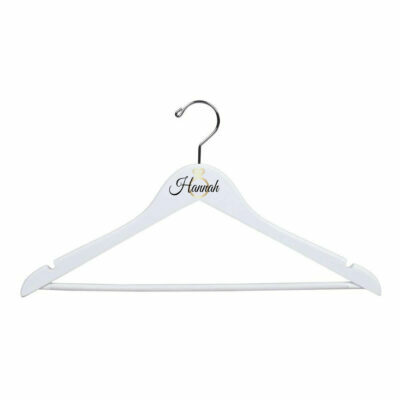 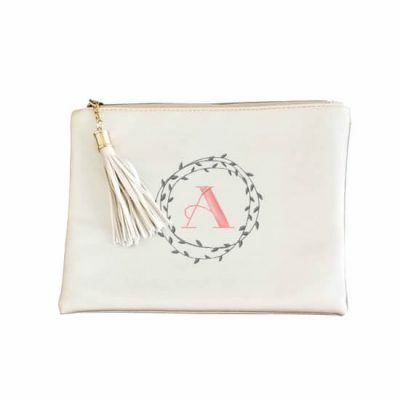 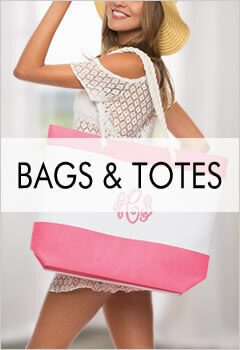 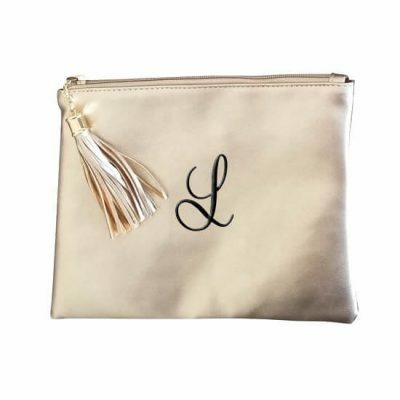 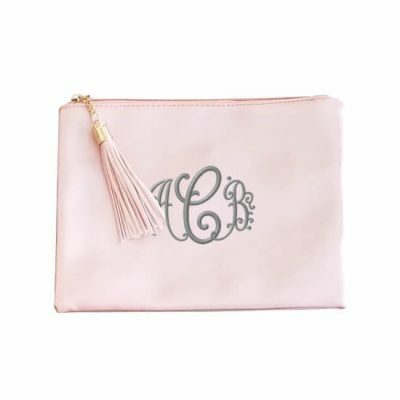 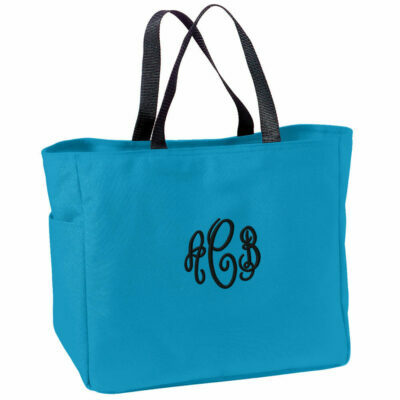 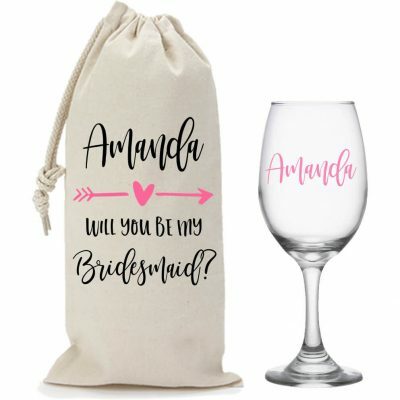 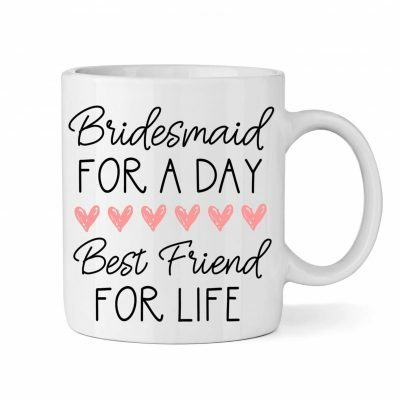 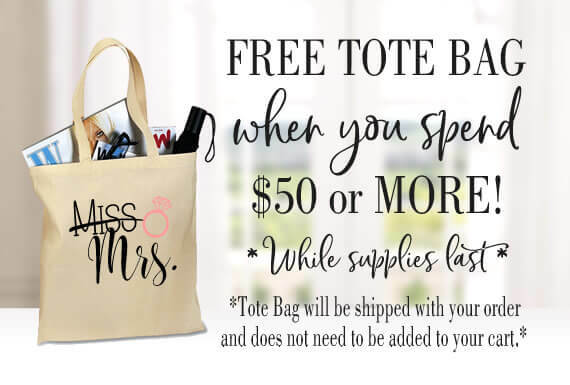 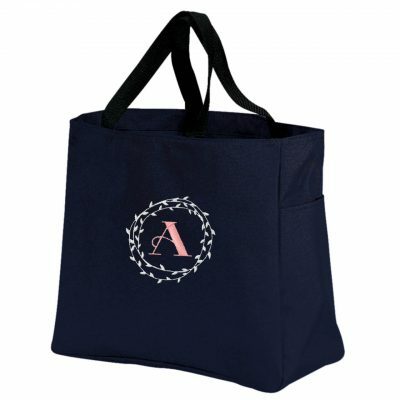 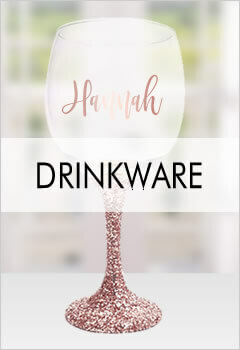 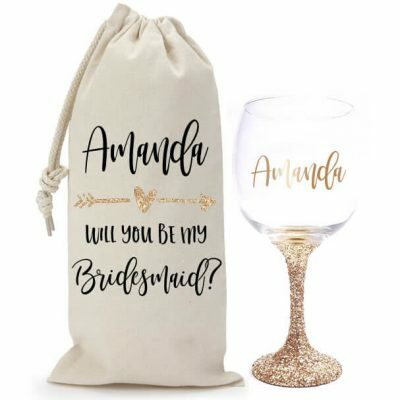 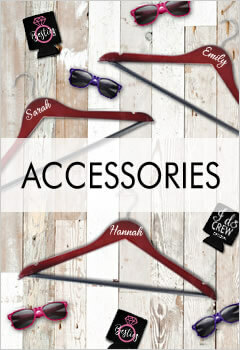 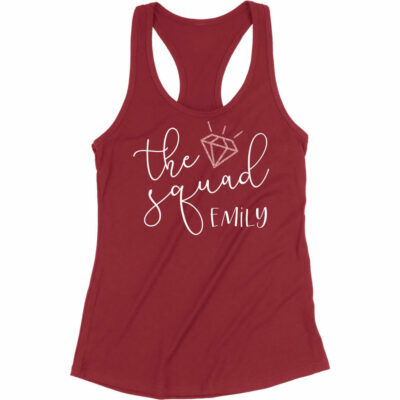 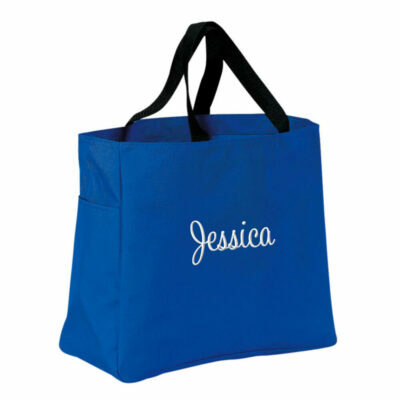 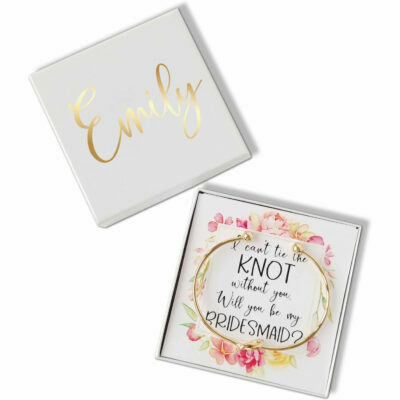 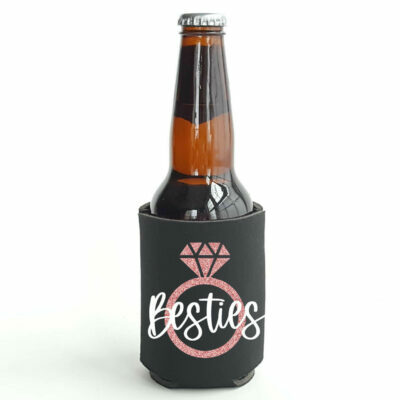 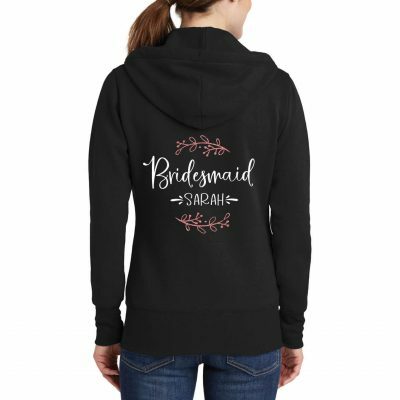 We have a huge selection of personalized bridesmaid gifts and clothes that are perfect for all of the pre-wedding festivities and events. 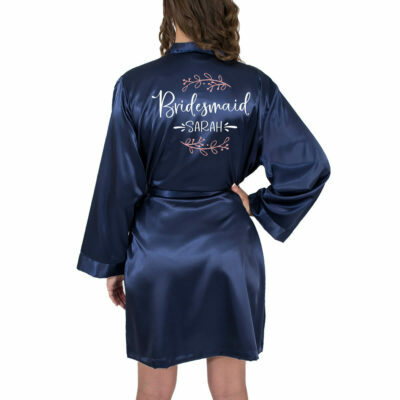 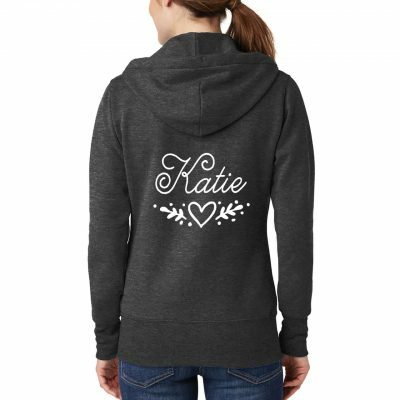 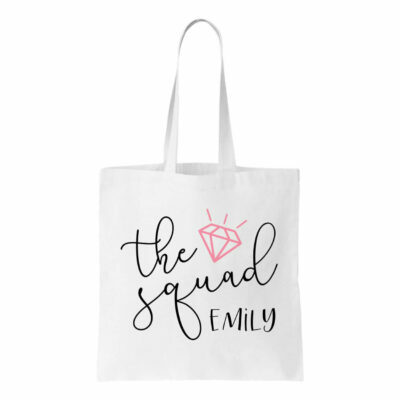 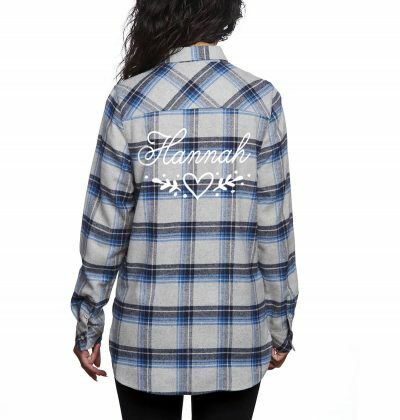 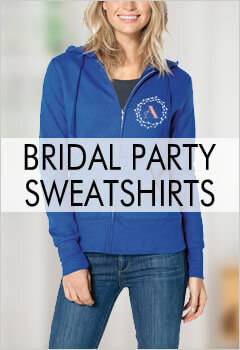 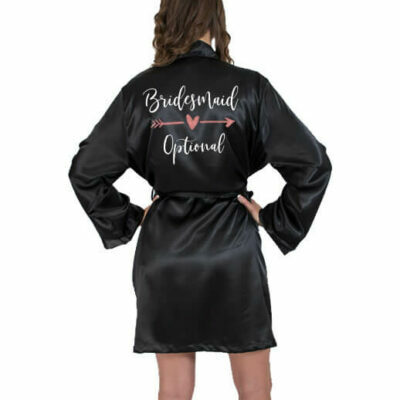 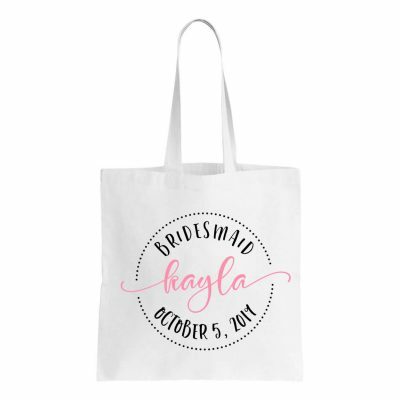 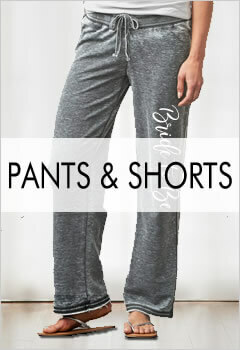 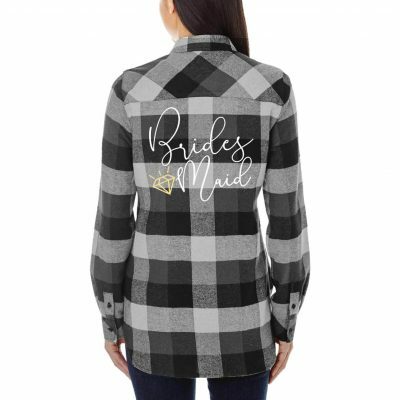 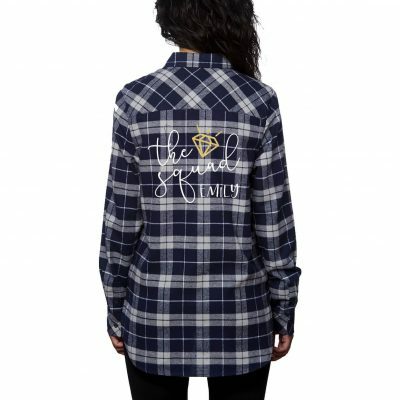 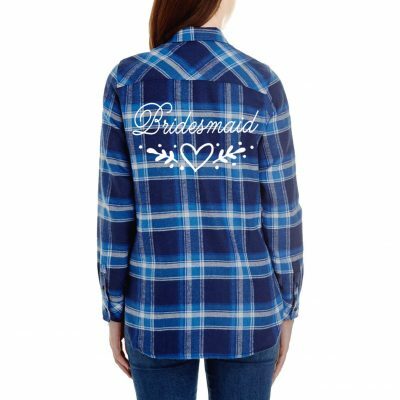 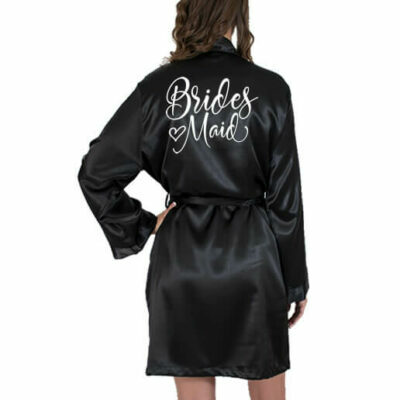 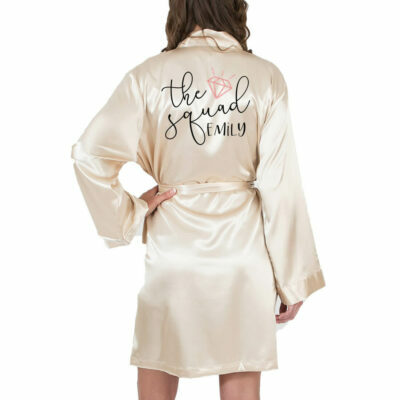 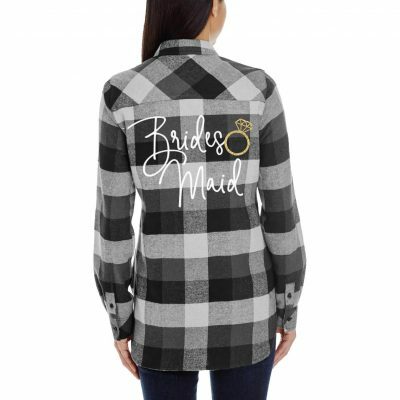 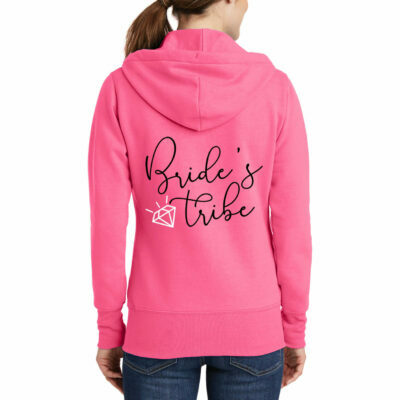 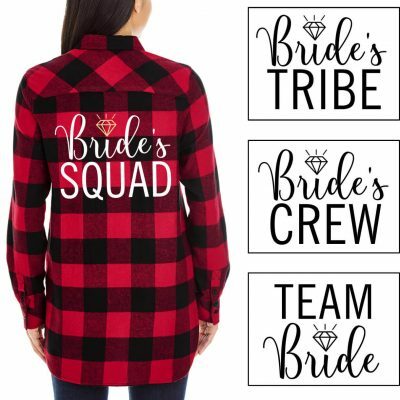 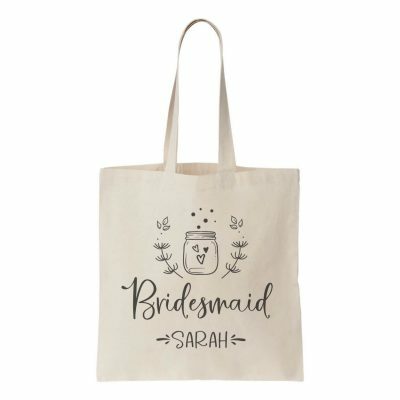 Our bridal party gifts include custom robes, slippers, bachelorette shirts, tote bags, wine glasses, mugs, pajamas, hoodies, & more!